CHILLIWACK – Another horrific case of livestock abuse uncovered by the activist group Mercy for Animals highlights gaps in the farm sector’s animal protection protocols. A video delivered to the BC SPCA on June 9 and released to media June 12 shows chicken catchers from Elite Farm Services Ltd. abusing poultry at various farms in the Fraser Valley. The shocking acts run from physical abuse to sexual assault and dismemberment. An investigation by the BC SPCA, which polices animal cruelty on behalf of the province, is ongoing. Marcie Moriarty, chief prevention and enforcement officer with the BC SPCA, expects to recommend Crown counsel to lay charges against six individuals. Elite terminated a supervisor and three staff as a result of the video; two other persons of interest had already been fired. No arrests have been made, pending completion of the investigation. The abuse also likely breached federal regulations governing the transportation of animals, prompting the Canadian Food Inspection Agency to investigate. The workers caught chickens for transport to the Lilydale plant in Port Coquitlam, owned by Sofina Foods Inc. of Markham, Ontario. Sofina issued a statement expressing horror at the treatment of the chickens. It urged Elite to terminate the workers involved and launched its own investigation. Elite’s policies should have prevented the abuse, Moriarty said, though she was unaware of what training Elite actually gave workers. She believes anyone viewing the video would say the workers weren’t acting as Elite would have wanted. While the poultry sector has focused on biosecurity protocols and has developed a mandatory animal care program that reflects international codes of practice, none of its standards were enough to prevent the abuse. 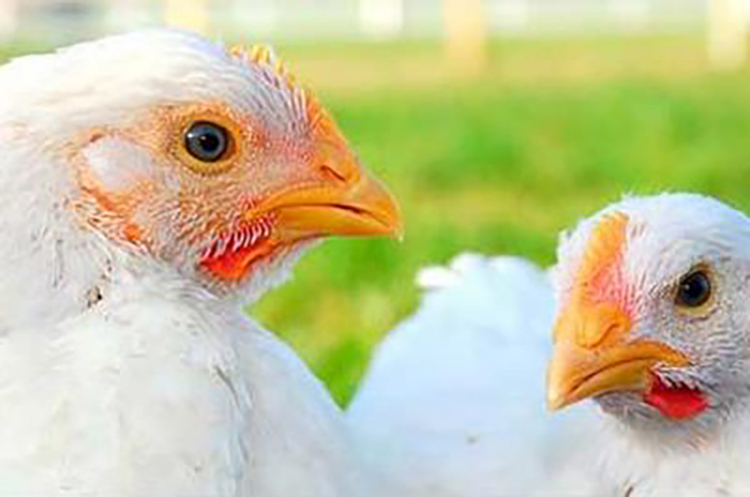 There was no immediate comment from the BC Chicken Marketing Board, which posted a statement from Chicken Farmers of Canada describing the abuse as intolerable – but putting the onus on producers to ensure the welfare of their animals. Elite, for its part, has updated its operating procedures to require “one supervisor and two staff members in each barn to wear cameras on their safety vests to capture the activity within the barn.” The video cameras were expected to be in place by the end of June. The incident comes a year after the BC SPCA discussed a working agreement with the poultry industry to ensure the prompt handling of complaints. The discussions followed similar negotiations with the dairy, beef and horse groups. The working agreements ensure BC SPCA’s statutory duties mesh with industry’s commitments to provide a co-ordinated response to any complaints. However, the poultry industry never reached an agreement with the BC SPCA – not a written one, anyway. 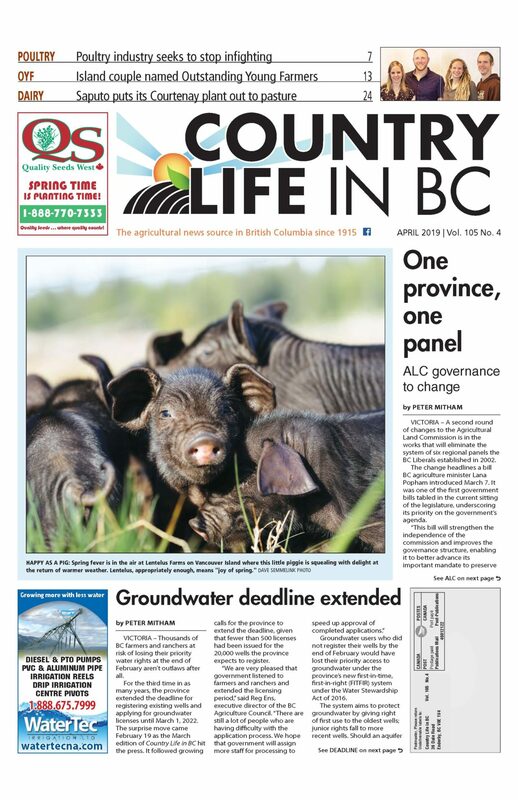 “We do have a working agreement, it’s just not on paper,” Moriarty told Country Life in BC. Moriarty said the policy involves telling the relevant industry organization that an investigation is in progress. She said the association is moving away from one-on-one agreements, opting instead for a common approach with all agricultural groups. However, it remains a work in progress and a formal agreement isn’t likely in the near term. However, better monitoring of workers and their compliance with expectations is in the cards. The issue was a key area where Chilliwack Cattle Sales made improvements following its conviction for allowing “a culture of abuse” that Mercy for Animals documented in a 2014 sting operation. Chilliwack Cattle Sales Ltd., and director Wesley Kooyman were fined a maximum of $75,000 plus a victim surcharge of $11,250 on four counts of animal cruelty – a total of nearly $345,000. BC Provincial Court judge Robert Gunnell levied the maximum fines to send a clear message that the abuse of livestock was reprehensible. Seven other workers were also charged in the case. Three plead guilty and were sentenced in May on 18 counts of animal cruelty and three of molesting a bird. Punishments included jail time, as well as orders barring them from owning or being around animals. The trial of the remaining four men wrapped up early last month. The various cases underscore the need for industry to do more to make sure workers are living up to the standards set for them, Moriarty said. The latest video showed that industry isn’t walking its talk.